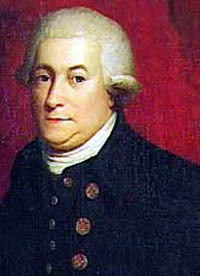 In the spring of 1792, Captain George Vancouver and his men, who were exploring in the name of King George III of England, became the first white men to view the twin points. On May 8, 1792, Vancouver sighted the huge mountain which he named Mount Rainier for Rear Admiral Peter Rainier, an old friend. The sighting had been made from Marrowstone Point near Port Townsend near the Strait of Juan de Fuca. On May 20th Capt. Vancouver sent Peter Puget on the launch and Mr. Whidbey on the cutter, which were two of their long boats, on a mission to explore the southern part of the extensive arm of water he called Puget Sound. 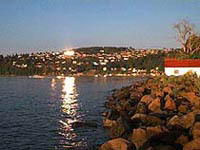 They rowed along the western side of Vashon Island toward the South Sound. On Saturday, May 26th, before Puget's return, Vancouver decided to do some exploring on his own. He took the "Discovery's" yawl and the "Chathums'" cutter, two small boats, down the east side of Vashon Island. About noon, he and his men made their way south across the water to the other side and stopped to eat on the eastern shore in a small cove which is located on the north edge of Browns Point. The cove is the place that today is called Caledonia Beach. In his journal he describes the meal and how he was greeted by a clamming party of about a dozen natives; possibly members of the Puyallup tribe. He reported that he drew a line in the sand to specify that the natives were to eat on one side and the white men on the other; he did not want them looking over his shoulder as he ate. However, two natives crossed over the line. Capt. Vancouver offered the men venison pie, but believing it was human meat the natives were horrified and would not eat it. Finally some of the group of natives were taken to the cutter at the water's edge and shown the haunch of the animal. Satisfied, they consented to join their visitors in eating the pie. The area was surveyed by both U.S. Naval ships and British Navy frigates and brigs during the period between 1841 and 1877. Charts have been found that show an 1840s expedition naming today's Browns Point as Point Harris; after a sailmaker's mate, Alvin Harris. It is not certain whether the point was named after a member of the 1846 British expedition or the 1877 U.S. expedition. Dash Point could be named for a man or a ship from either expedition. It is certain, however, that both points received their names between 1841 and 1877. Browns Point was known as Point Brown until about the 1920s. During the 19th century Dash Point was used as a geodetic survey point. On December 12, 1887 a fixed white light lens lantern was placed on a white post on Point Brown. It was about twelve feet above sea level and 50 yards from the low water end of shore. This was two years before Washington became a state. Perhaps the most instrumental person in the development of the Browns Point/Dash Point area, and certainly the most well known by early residents, was Jerry Meeker. 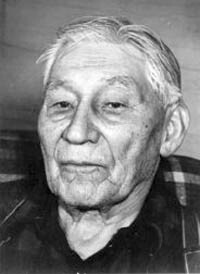 He was born at Fern Hill in 1862 to the Puyallup native known as Sky-uch. Sky-uch took the last name of Meeker from his employer, Ezra Meeker, who is known for coming to the west coast over the Oregon Trail by wagon and oxen. Jerry's father worked for many years as a busboy and helper on the Meeker ranch. Jerry worked in Meeker's hop fields as a boy. He took the name Jerry from one of his favorite white friends. The three schools for natives Jerry attended were: St. George's Indian School at Spring Valley, Forest Grove Indian School at Chenawa near Salem, Oregon, and Cushman Indian school on the Puyallup Reservation. One of his early endeavors was to organize an Indian band on the reservation. A total of $1,500 was raised for instruments and uniforms. He was the drum major of the band. In 1883, the same year he organized the band, he married Eliza O'Dell and settled on a farm on the reservation. Much later, after Eliza's death in 1925, he married Lilliam Arquette. 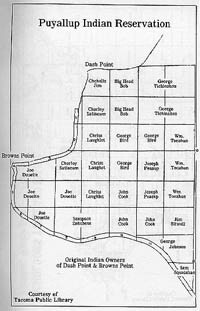 Jerry's life from the 1800s until his death was very much involved with the growth and development of Dash Point and Browns Point. He was one of the few literate natives on the reservation in the late 1800s. This made him an indispensable asset to the white buisinessmen and government, and to the tribal chief and his people. In 1854 the Medicine Creek treaty had been signed by Issac I. Stevens, Govenor and Superintendent of Indian Affairs of Washington Territory and the chiefs and delegates of the Nisqually, Puyallup, Steilacoom, and other tribes of the lower Puget Sound region. It was ratified by Congress and President Franklin Pierce in April of 1856. In June of that same year, the Puyallups and Stevens renegotiated the size and location of the reservation which was again surveyed and declared the new reservation. Due to the treaty, the President issued an Executive Order in January 1857 creating specific Indian Reservations, including the Puyallup Indian Reservation. The Browns Point and Dash Point areas were a part of the Puyallup reservation. There were many disputes between the Government and the natives from 1857 to the end of the century and later over the surveys of boundaries and tidelands. Upon urging by the Puyallup tribe, a survey of the reservation was made in 1872 assigning plots of land to individual tribal members. After they had proven that they were occupying and cultivating their assigned allotments, 167 patent deeds were signed by President Grover Cleveland and issued to the individual Puyallup natives in March 1886. Each native was given approximately 160 acres of land. Forty acres were farm land on which the native and his family lived and made their living. The remaining 120 acres were usually hilly, tide, or swamp land. The Government intended that the 120 acres would be likened to investment property and would insure substantial financial stability for the family that owned it. 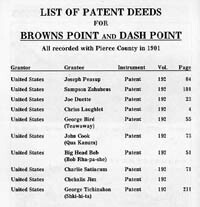 Ten Puyallup natives were patent deeded property on Browns Point and Dash Point.